SAMAR, Philippines – A climate of fear is taking hold in Samar. In Calbayog City, over the last few months, there were stories of killings of ordinary civilians and some village officials, and the more recent killing of two village chiefs, Edgar Belleza of Carayman and Rio Lebario of Dagum, and councilor Dionesio Lungsod. “Everyone has this uncomfortable feeling, a sense of being threatened,” said Gina Dean Ragudo, a resident of Calbayog City, and Bantay Bayanihan Leyte Convenor. 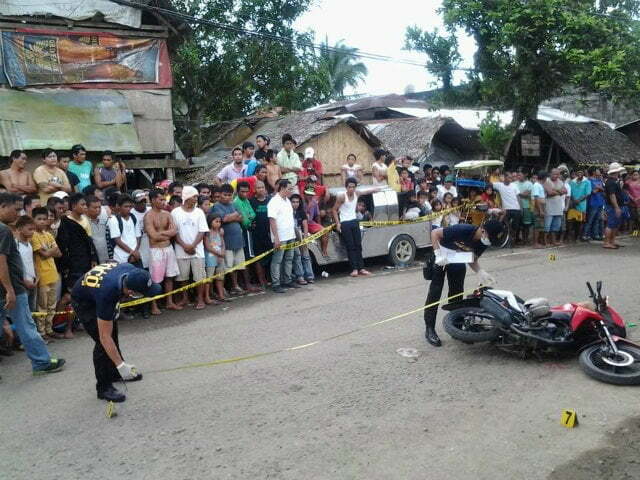 Violence is not a new phenomenon in Samar, especially when the political season is approaching. The Philippines will hold national and local elections on May 9, 2016. According to Ragudo the escalating violence left residents in “a perpetual state of fear,” and made it impossible to go about their daily lives. “We don’t know the actual cause of the enragement of these people. There are many rumors but we cannot know,” added Ragudo, who is also co-chair of the Samar Island Press Club. Another resident of Calbayog, who requested anonymity, described regular scenes in the city at night. In order to avoid violence, residents begin closing shops early, and do anything possible to avoid being on the streets late at night. Suspects of the violence are identified to be members of private armed groups, known as PAGs. Influential and prominent local politicians in Samar allegedly maintain and use these groups to rig polls. PAGs are accused of harassing innocent civilians, and some identified leaders of rival political parties. In some cases, they subject people to acts of brutality.